Did you know that chili originated from what is now northern Mexico and southern Texas in the 1850s? Unlike some other Texas foods, such as barbecued brisket, chili largely originated with working-class Tejana and Mexican women who served food in San Antonio’s Military Plaza. Think of it as the taco trucks of the 1800s. Tamales with chili was the most common order with beans often being added. Local workers counted on the chili vendors for a quick meal. However, it wasn’t popularized until the San Antonio Chili Stand displayed it for the country at the 1893 Columbian Exposition in Chicago. 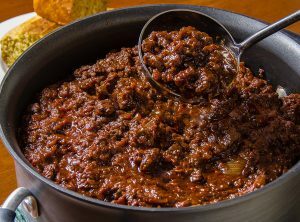 As many Americans got their first taste of it, San Antonio became a tourist destination that helped Texas-style chili con carne spread throughout the South and West. 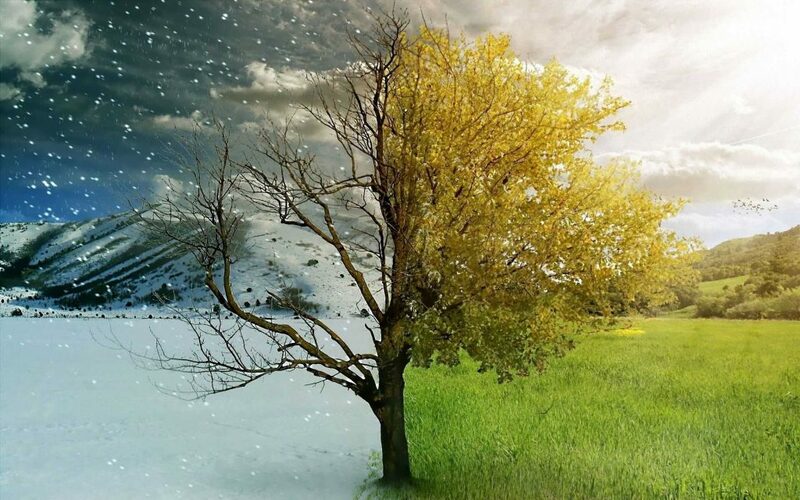 Sure, spring is here but that doesn’t mean winter won’t have its last stand at keeping you cold and miserable. Well, in the event that we’re hit with one last cold front, warm yourself up with this Habanero Hellfire Chili. It’ll both keep you warm and add a nice spice to your weekend. After-all, who doesn’t like a nice bowl of Chili? Place bacon in a large soup pot. Cook over medium high heat until evenly brown. Drain excess grease, leaving enough to coat bottom of pot Remove bacon, drain on paper towels and chop. Brown beef and pork in pot over medium high heat. When meat is browned, stir in the bell pepper, onion, jalapeno peppers, habanero peppers, Anaheim peppers, garlic, cumin, red pepper flakes, chili powder, bouillon, crushed tomatoes, whole tomatoes, beer, tomato paste, chile paste and water. Reduce heat to low and simmer for 45 to 60 minutes, stirring occasionally. Add beans and bacon and continue simmering for another 30 minutes. Small Axe Habanero Mango is made with peppers are sourced from community gardens and urban farms in cities across the United States. San Diego, Tucson, Phoenix, Salt Lake City, Sacramento, Charlottesville, and many more have all sold peppers at premium prices to Small Axe Peppers Hot Sauce.